Anyone who rides a bike regularly has most likely experienced the spine-tingling fear of a passing motorist who comes too close for comfort. This is called “Buzzing” and in some states, it’s against the law. Even if the cyclist isn’t hit by the car, they can be knocked off their bike by a side view mirror or driven off the road. This can be a terrifying experience and you can find yourself alone in a ditch with bumps and bruises, as well as damage to your bike. At Zinda Law Group PLLC we understand the distress you may be feeling. We are not only personal injury attorneys, but cyclists, so this particular hazard is of great concern to our personal injury law firm. We aggressively represent cyclists who have received injuries as a result of being buzzed by a car and believe that this is an excellent method of discouraging other drivers who might commit this type of act. Some states are trying to pass stronger laws to protect cyclists. The truth is that motorists just don’t watch out for those on motorcycles and bicycles. One of the worst motorcycle accidents in history occurred when a truck just plowed into a whole group of motorcycle riders out for a beautiful day of riding along the coast. The truck driver was preoccupied and failed to stop in time. Sadly, several of the cyclists were killed and all of them received serious injuries. This accident and others like it bring to light the great need for tougher laws to protect cyclists. Zinda Law Group has been helping cyclists involved in accidents like these for years. We believe that the best method of getting laws changed and these facts brought to the attention of the public and lawmakers is to make sure that the guilty pay. In the past, history shows that laws get changed much quicker when the guilty are made to pay dearly for their negligence. We work aggressively on behalf of our clients to help them receive an excellent cash award. We know that bicycle injuries can often be very severe and leave the victim with ongoing medical needs. If you or a loved one has been injured in this type of accident, then you need professional representation. Zinda & David PLLC will go to work immediately to protect your rights. Our staff and attorneys are always on hand if you have questions. 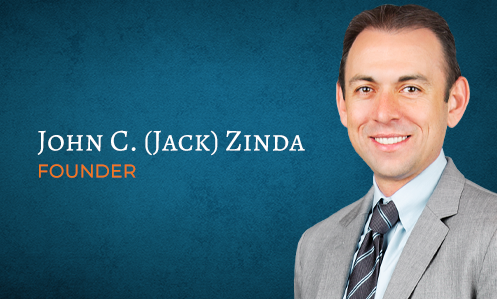 Call Zinda Law Group today for a free case evaluation. We offer a no-cost evaluation of your case. We’ve been helping Texans recover the settlement they deserve for many years and we will work hard to help you recover lost wages, medical bills, pain and suffering and other expenses. Zinda Law Group PLLC is your Texas Bike Injury Law Firm!